The clear, high altitude lake of Rara, which mirrors the snow capped Himalayas is ringed with blue pine, black juniper forest and Himalayan cypress Lake Rara is a popular serenity pilgrimage for Nepalese. In summer rainfall is low, and ideal for trekking. Rara National Park, Nepal’s smallest and most scenic national park that spreads over an area of 106 square kilometer, is situated about 370 kilometers north- west of Kathmandu and lies in Mugu, a mountainous district of the western region of Nepal. The undisturbed and the largest lake in Nepal is also renowned as Mahendra Tal. The National Park ascends from 1800 m to 4480 m forested by conifers. 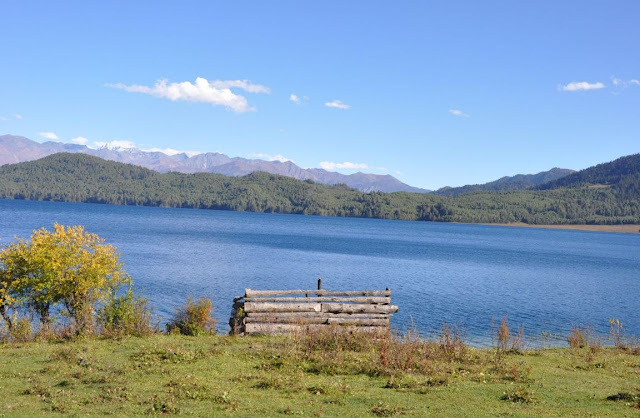 The pivotal of Rara National Park is the pristine Rara Lake, which stands at the height of 2990 m. and spreads over 10.8 square kilometers. Chuchemara Dauda at the elevation of 4087 meters is the best vantage point to get the magnificent views of the deep blue clear lake and highly forested hillside as well as the snow-capped peaks around it. The clear, high altitude lake of Rara mirrors the snow capped Himalayas which is ringed with pine, spruce and juniper forest. More than 500 different kinds of flowers and herbs including Rhododendrons, Black Juniper, Oak, West Himalayan Spruce and Himalayan Cypress are found in this park. It is home to 20 different species of mammals and 214 species of birds. During winters you will be able to witness the migratory birds from various regions around the world and during summers the Himalayan flowers surround the lake creating a vibrant landscape. • Rara Lake. • The lake is surrounded by richly forested hills. • Chuchemara Danda at 4,087 meters is the best vantage point to get stunning views of the lake and the thickly forested hillsides and the snow-capped peaks around it.